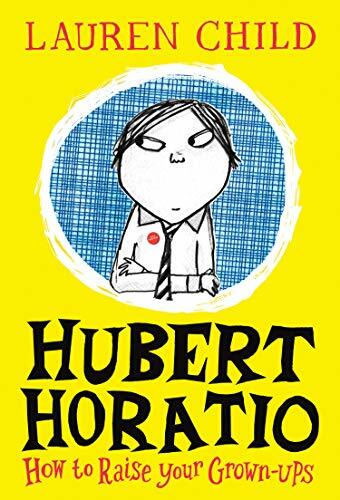 First created by Lauren Child in 2004, that ever-competent child character Hubert Horatio now reappears in the latest instalment of events in the life of the rich but chronically disorganised Bobton-Trent family. Its various doings are lavishly illustrated in scratchy black and white drawings within which different font sizes come and go against collage backgrounds some of which that seem to have been taken from old wall-papers. Lauren Child writes at the end about the enormous pleasure creating this book has given her, the results of which are evident on every page. A meandering, often apparently pointless story comes alive thanks to innumerable droll asides, mock-serious chapter headings and drawings that are both witty and engaging. The whole effect is as if one of Ivy Compton-Burnett’s now largely forgotten novels about upper class family members consistently failing to communicate with each other have been re-animated by an author as gifted with story-telling as she is clever with the pencil. With further adventures still to come, there is much to look forward to for young readers and for parents also drawn into this happy melange of picture and story. Staying Children’s Laureate until June next year, Lauren Child somehow manages to keep all the activities associated with this arduous role going while still creating new, delightful books like this one. Hubert Horatio himself could do no better.